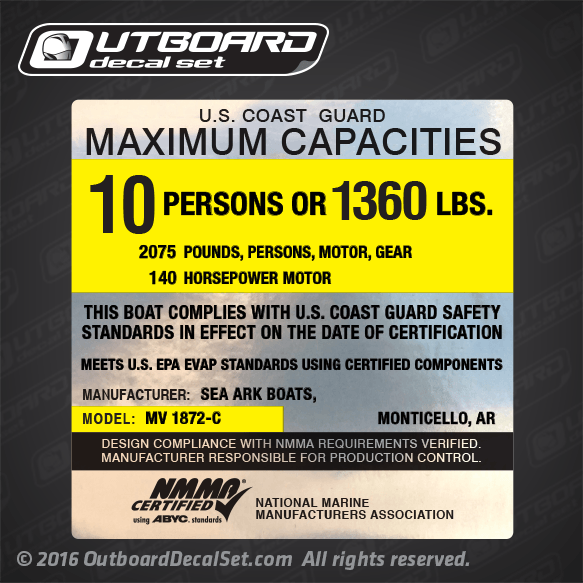 Sea Ark Boat Capacity flat vinyl decal for MV 1872-C models. Printed with SIlver Metallic Inks. 10 PERSONS OR 1360 LBS. DESIGN COMPLIANCE WITH NMMA REQUIREMENTS VERIFIED.